Welcome to Quilt in a Day! Since 1978 with the publication of my first quilt book Make a Quilt in a Day Log Cabin Pattern, I have written over 100 quilt books and quilt patterns. My quilt books & patterns teach a wide variety of quilt techniques: strip piecing, applique, scrap quilting, crazy quilts, paper piecing, piecing stars, triangles, and squares. You will find numerous quilt border treatments, methods to bind a quilt, tie a quilt, layer a quilt, miter a binding corner, and so much more. Many of my quilt books and quilt patterns contain yardage and cutting instructions for baby quilts, lap quilt, twin quilts, queen quilts, and king quilts. On my Quilt in a Day website you will find everything you need to make a quilt, whether you are a beginning quilter or advanced quilter. 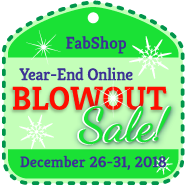 You will find quilt books, quilt patterns, specialty quilting rulers, quilting DVD s, quilting notions, quilt novels, quilt related gifts and hundreds of bolts of quilt fabric! If you are a beginning quilter, I suggest my books Make a Quilt in a Day Log Cabin Pattern, Flying Geese Quilt in a Day, Sunbonnet Sue Visits Quilt in a Day, and It s Elementary to get you started. Or try my quilt pattern Tossed Nine Patch, Tee Shirt Quilt, or Pinwheels & Rectangles. A wide variety of quilt kits are available to make your quilting adventure even easier to get started! Looking for free quilt block patterns? You will find a variety of them here on the website. Also feel free to watch my 200+ quilting videos of my television series and our live filmed quilting block party for free! 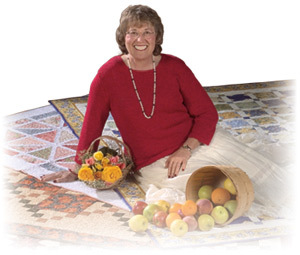 I invite you in to kick off your shoes and take a tour around my website to find everything a quilter needs, wants, and more!